You are here: Home / Drill Wars / 20V Max Vs 18V Batteries, Which Is More Powerful? A lot of people tend to get confused when considering whether to buy the 18V or 20V drill. For most people the choice comes down to the one that seems to be more powerful. Of course 20v Max sounds like it packs a lot of power but the truth is that the 18v is just as powerful. Looking at the various similarities and differences between these products can be key to understanding what you get when you buy any of them. Through the past few years there have been quite a number of batteries that have made it to the market. However, after some time of comparing these products a lot of experts agreed that the 18v battery line was giving the best performance. This was until the 20v max was unveiled. There have been quite a number of tests and opinions given by both experts and amateurs with no clear consensus having been reached today. Of course there is a group that believes the 18v still stands out while there is also another group that would bet all their savings on the 20v max product line. Regardless of the side of the debate you fall below are some of the things you need to keep in mind. On taking apart any of these two batteries you will realize that they are designed in much the same way. They both have individual battery cells that are arranged in a group of 5 wired in a series. Every group of 5 cells is connected through a wire in a parallel arrangement. This is done to ensure that the battery has a significantly large number of amp hours. It is also done to guarantee that the battery has a good capacity in terms of watt hours. A deeper look at these cells reveals that each one has two different voltage ratings namely nominal and maximum. Every one of the cells in a 18v or 20v battery has a nominal voltage rating of 3.6 volts which translates to 18 volts nominal when put together. Every one of the cells in an 18v or 20v battery has maximum rating of 4 volts which translates to maximum 20 volts when put together. In essence the manufacturers of the 18v battery makes use of the nominal rating while the manufacturers of the 20v max battery make use of the maximum rating. This is basically the main difference between these two products. Having noted the above it is clear that both of these batteries produce the same amount of power. The only difference is in the way they are advertised or labeled with regards to cell ratings. Another significant difference is that 20v max batteries are common in the United states while 18v batteries are sold outside of the United states. However, a person using 18v batteries outside of the US is getting the same results as one that is using a 20v max battery within the country. It is equally important to note that there are tools designed to work with 18v batteries while there are also a group of tools that are designed to work with 20v max batteries. This can present yet another argument with a number of people preferring to go for the 20v max tool because it sounds more powerful. The information below should help you choose the right tool with regards to drills. 18v vs 20v drill – Which Should you Choose? As mentioned above there is no real difference between the two battery types. However, there can be significant differences when it comes to the drills that use each type of the battery. To make the right choice you are advised to have a look at the following details. The cost of the drill – the amount of money you are charged for a drill that uses an 18v battery can differ from the cost of the drill of a 20v max battery. Do not buy a drill simply because it indicates 20v max instead compare the rates of the various drills in the market and settle on the one that seems to be offered at a reasonable cost. A cheaper 18v drill can provide you with exceptional functionality while an expensive 20v max drill may not be as good as you may think. Think about torque – regardless of the drill you pick one of the most important things for you to consider is the maximum torque you get. If the 18v drill provides higher torque you should go for it. On the other hand if the 20v drill offers better torque you should favor it over its competition. The higher the torque of a drill the better results you will get when drilling through hard surfaces. Size and weight – the size and weight of a particular drill is another thing you need to consider before making a purchase. A 20v drill that is quite heavy may cause a lot of difficulties in the middle of a project. Not only are you likely to get tired of holding it in place you will also wear yourself down as you move from one point to another. It is advisable for you to pick a lighter 18v drill as it is likely to offer better results. When it comes to size it all depends on what you will be using your drill for. Those who use drills in narrow areas may have to buy products that are compact. On the other hand individuals who work in large spaces may have the freedom of choosing a drill of any size provided it meets their expectations. Usability – one thing that makes a drill exceptional is its usability. In this case a good drill is one that features things like light indicators and sound notifications. These things make it possible for just about anyone to use. Differently colored lights can give information regarding the current settings and power available. It is wise for you to pick an 18v drill with these features rather than to go for a 20v max drill without them. Brand matters – before you make any purchases take the time to learn about the various brands in the market. Create a list of with the most trustworthy names at the top. Use this list to sift through the various products in the market. 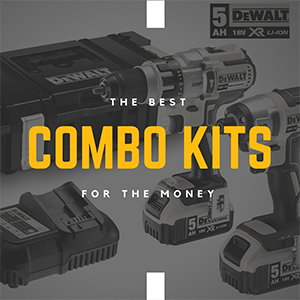 Brands such as Makita and Dewalt are among the most established and reputable which is why you should go for their tools regardless of the voltage indication. Accessories – to make work easier you should go for drills that can be used together with various accessories. This will make you get your projects done within a short time and with exceptional accuracy. As you have learned there is no real difference between an 18v and 20v max battery except in marketing terms and place of use. Whether you buy the former or the latter the ultimate power you get at the end of the process is the same. 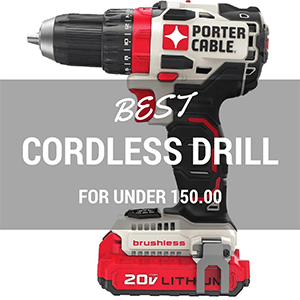 A careful look at the tools that you are interested in purchasing is by far a better way to make the right decision instead of relying on the voltage that is indicated – have a look at some of the best cordless drill reviews we have written and find your perfect drill.